I’ve been on a roasted potato kick lately, this is a variation of Poppy’s Cajun Roasted Potatoes. This time I’ve added sweet onions and wilted spinach. It couldn’t get any simpler or more delicious. Cooking for three tonight (with planned leftovers) I cubed 4 scrubbed Yukon Gold potatoes (skins intact) into 3/4″ cubes. This was followed by dicing a medium-sized sweet onion into equally sized segments. While the oven was heating to 400°, the potatoes and onion were tossed with a couple of tablespoons of EVOO, then spread on a foiled lined baking sheet. 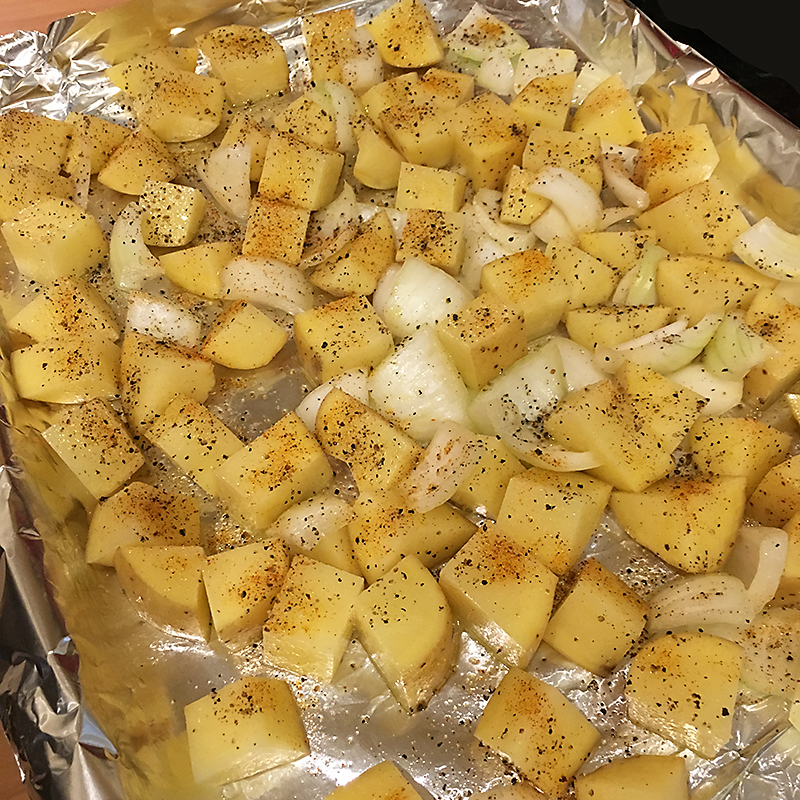 The potato and onion chunks were then treated to a generous grid of coarse black pepper and a sprinkling of Cajun seasoning. Ready to go into the oven, I set the timer for 35 minutes. I had my oven set to roast with the convection turned on. Your mileage may vary, but don’t sweat it, an extra few minutes won’t hurt anything. While the potatoes and onions were roasting (and sending a marvelous smell throughout the house), I chopped 4-5 ounces of baby spinach and tossed it in a skillet with a very slight drizzle of EVOO. 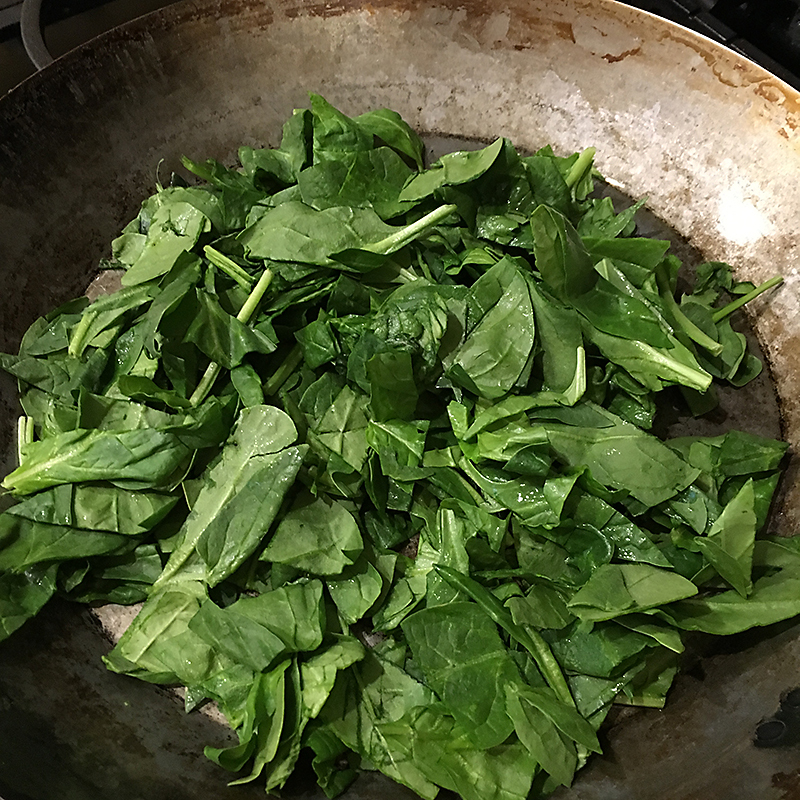 Stir on your stove top with a medium to low setting until the spinach has wilted. remove from the heat and set aside. 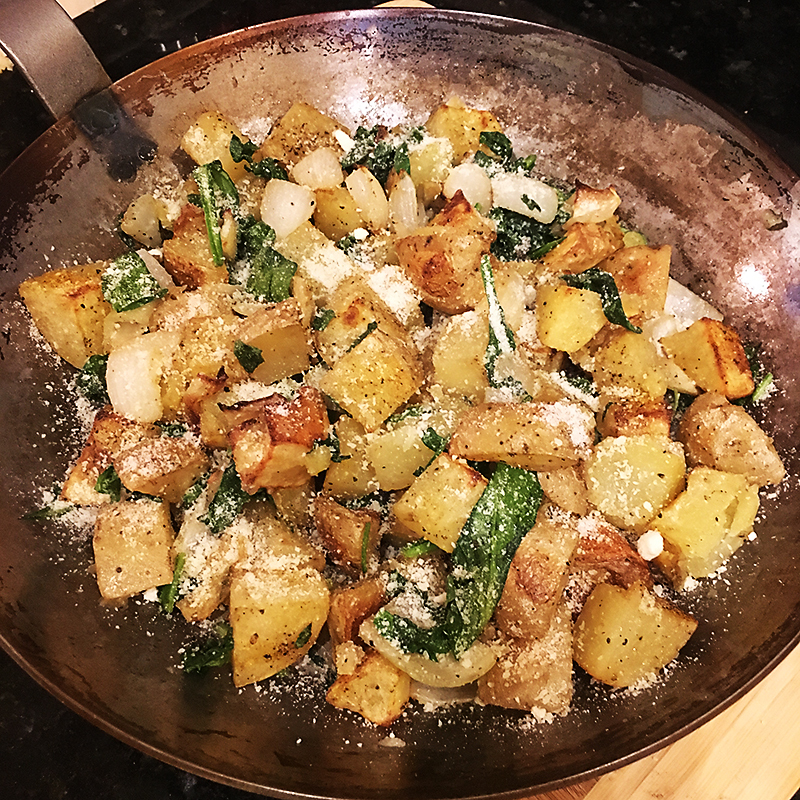 Once the potato and onion mixture is done (slightly browned), transfer them to the skillet with the wilted spinach, toss then sprinkle with some fresh ground grated Parmesan and you are good to go. 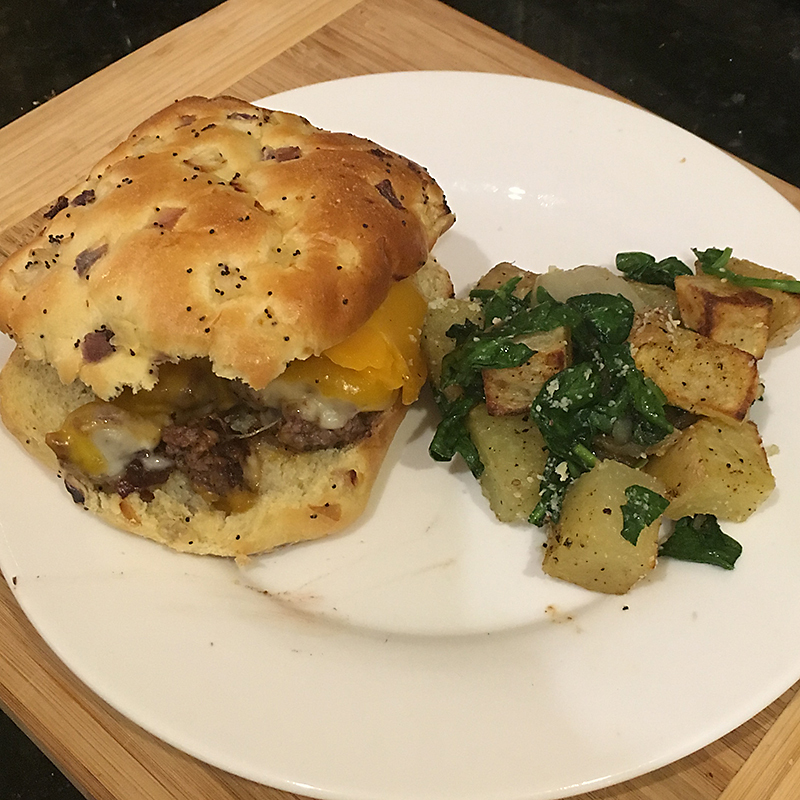 Tonight this served as a side to Poppy’s “Honest Burger”, but that’s a post for later.